Orient Express is excited to present the new line of Nextup stand-alone quick shifter kits! 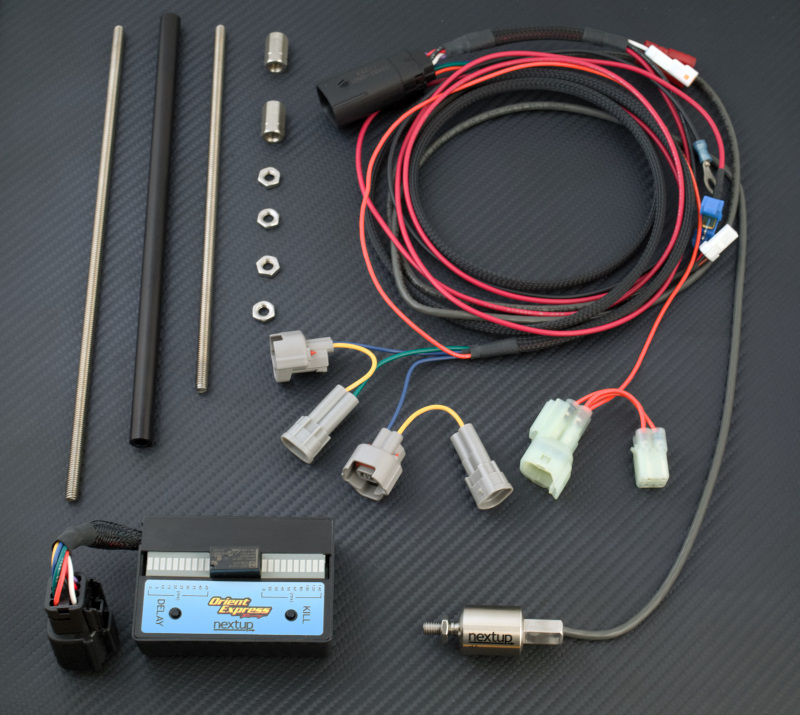 The Nextup Quick Shifter Kits include the most popular fuel injection/ignition kill box on the market, a bike specific plug and play harness, and a compact shift sensor with adapters — providing a complete stand-alone solution for most late model sportbikes. Nextup is also offering the Nextup Quick Shifter Sensor developed to work with a quick shift activated re-flashed ECU (custom wiring required). Working closely with our partners at Nextup allowed Orient Express to develop these new kits which offer unparalleled shift speed and precision for an incredible price, without the need for other components. Since its release the Orient Express Nextup kill box has gained enormous popularity due to its super smooth shifts, compact size and amazing programmability. Easily programmable for kill and delay time in each gear position with onboard buttons and display, this sophisticated unit allows 0-140ms kill time. This Zero Kill feature eliminates the need for additional modules on semi-auto shift applications, allowing quicker, simpler more reliable installations. Combined with the Nextup plug and play bike specific harnesses, the Nextup kill box can control four or eight injector machines with ease. The Nextup Quick Shifter Kits utilize the same successful control box as supplied for air shifter applications. Universal (non-plug and play) kits are also available for custom installations or carbureted applications. Kits are priced from $379 to $499 ready to install. The stand-alone Nextup Quick Shifter Sensor Kit offers re-flashed ECU owners a cost effective quick shift upgrade. Specific ECU programming and custom wiring are required for installation. Great also for two wire OEM or aftermarket connections. 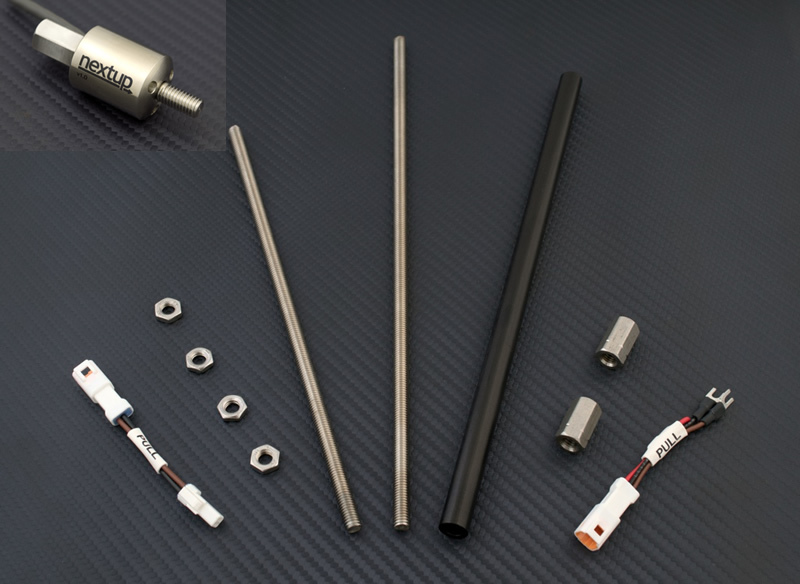 Nextup Quick Shifter Sensor Kits include an assortment of M6 x 1.0mm threaded rods in male and female versions, as well as standard and left hand thread. This assortment allows easy installation on nearly any machine. The Nextup Quick Shifter Sensor kit for OEM and aftermarket quick shifter applications is competitively priced at $159.95. Nextup is a brand of premium transmission control products that are designed to improve rider control and focus, while preserving motorcycle response and feedback. 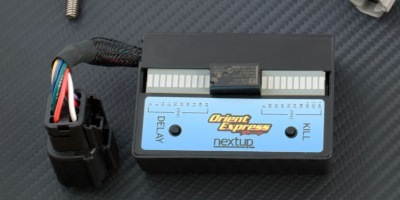 Nextup quick shifters and other products are sold in the United States through Orient Express, which has a 43-year history of delivering high-performance aftermarket motorcycle components to the powersports communities. For more information, visit http://www.orientexpress.com, email sales@orientexpress.com, or call 800.645.6521 or 631.231.9552.